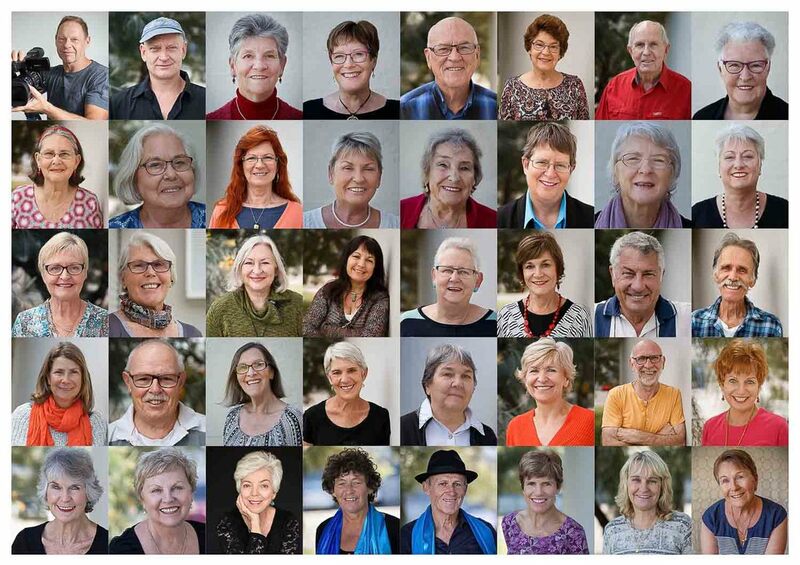 In 2018 we posed for more portraits for an updated calendar featuring our members and events. In 2010 the choir used another donation from Bendigo Bank at Marcoola to produce a calendar for its members, featuring photos from events and performances during the past year. Our fabulous choir members love creating amazingly luscious sounds when they join together in song each week, and get a buzz from sharing their wonderful harmonies with others whenever they can. But they also enjoy whipping up a delectable storm whenever they gather together in the kitchen. Proceeds from this cookbook went towards Christmas hampers for local Coolum families and residents. In 2009 the Bendigo Bank at Marcoola donated $1000 to Cool Harmonies in recognition of their community participation. The choir used this money to produce a biographical booklet of its members and a locally produced CD Waves of Harmony. Cover photo by Jill E Photography. Cool Harmonies share a passion for singing, and like all community choirs, we love coming together each week to experience the simple joy of creating harmony. We have a community chest that sits at the front door. Each week the chest is filled with donations from choir members, their friends and family, members of the public, local businesses and paid performances. The money raised through this community chest, along with money we make at fundraising events throughout the year, allows us to donate to a variety of community projects, both locally and further afield. It is a beautiful circle of harmony. We all feel lucky to be a part of it and make a difference in the community. Many of our fundraising activities are made possible through sponsorship donations from Marcoola Community Bank Branch of the Bendigo Bank. ​We build up our community chest through fundraising events, members selling cookbooks, plants, lemons, and donations (including spare coins in our community chest each week, which make up about $800 each year). St Vincent de Paul - 6 baskets of Christmas hampers, plus $250 of Coles gift vouchers donated by Copper Creations. Coolum State School - $750 towards the school's music program to buy loan instruments for students. 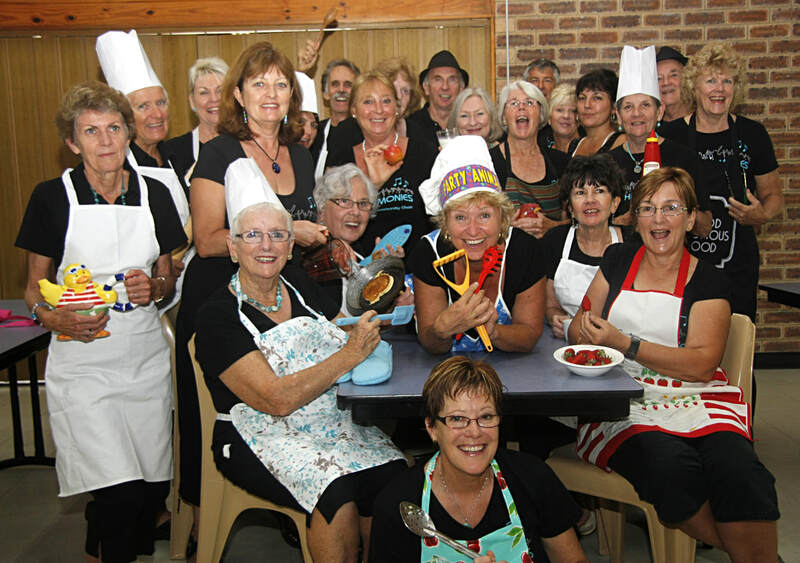 Coolum HeARTs - $250 for Christmas Day lunch. Orange Sky Australia mobile laundry service - $3256 from morning tea fundraiser. Murris on the Move - $650 towards the driving lesson program for Indigenous people and new migrant women. The Big Sing - $350 towards sponsoring an Indigenous singer to attend. Coolum HeARTs Morning Tea - $1770. Music Therapy program at local nursing homes - $3615 from Vocal Nosh and Bash night. African Children's Choir - $21,256.29 raised through ticket sales from concerts/workshops, donations and raffles. Coolum HeARTs Project - $2026 from the Biggest Morning Tea event. Coolum Beach Quilters - $100 donated towards the group's cancer fundraising event. Coolum Men's Shed - $3360 raised through our Crazy Musical Capers night in October. The Big Sing - $250 towards sponsoring an Indigenous singer to attend the workshop. Cancer Council Biggest Morning Tea - $1,870. African Children's Choir - $15,424 raised through ticket sales from concerts/workshops, donations and raffles. Childhood Cancer Support - $174.50 from Talk Like a Pirate Day in September. Alex Young Dekens Trust - $200 towards supporting Alex and her family. Salvation Army - $1,000 towards Christmas hampers for members of our local community. Choir members raised $9,078.70 through various fundraising activities. Cancer Council Biggest Morning Tea - $950.30. Funds will help towards cancer research, prevention, early detection and support services. 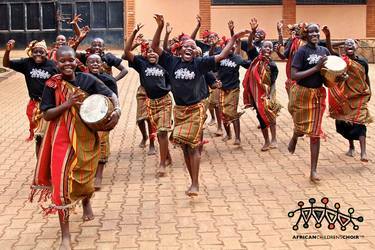 African Children's Choir (ACC) - $6,373.40 towards KwaYa projects in Ugandan schools and slum areas, specifically for the ACC Tour 2013. Pyjama Foundation - $105.00. Helping to transform the lives of children in foster care through literacy and mentoring programs. Variety - $150 to provide equipment and support for children with special needs. Family hampers - $1500 towards providing food, toys and wish list gift cards for disadvantaged families and individuals in Coolum.